Anyone that knows me (or id following my blogs) knows I feed my horses a diet with hay as it’s foundation. 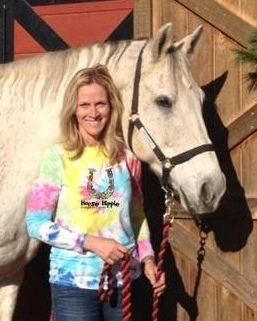 Hay is where it’s at for equine nutrition. It’s how they are designed to eat and digest. But if you live in an area that is suffering a baled hay shortage you do have other options. 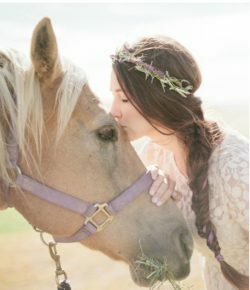 Remember, hay is not just an important part of the horse’s diet, but is also needed to maintain normal digestive health. A minimum 1½ inch particle size is important to minimize colic and abnormal behavior. There are many forms that hay can come in. Providing your horse with 1.5-2% of his body weight per day of hay is necessary when no pasture is available. 1) Small (40 to 80 pounds) square bales. Pros: Square bales are comparatively easy to move and store. 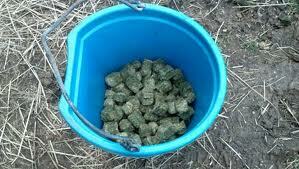 They are easy to divide up for use in the stall and hay net. Cons: Square bales can cost more and should be stored indoors or under cover to prevent weather damage. Tips: Use a slow feeder or other net to slow the consumption rate and lower waste. 2) Large (800 to 1,200 pounds) round or square bales. Pros: Big bales are more efficient to produce and can easily be used for field kept horses. Tips: Remove hay that has become moldy and in contact with the ground. 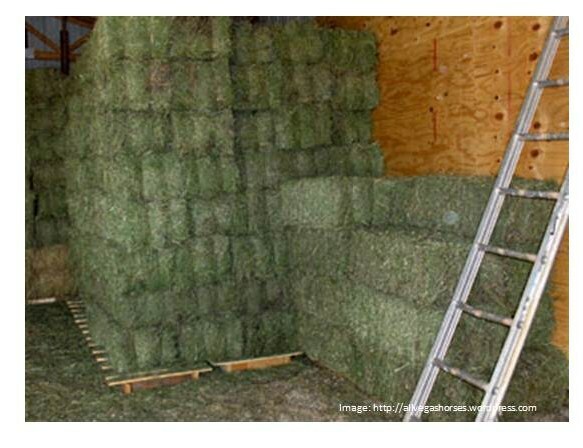 Moldy hay can make horses sick from the formation of mycotoxins. Use a net or round bale feeder over the bale to slow down feeding rate and control waste. Storage of round bales should be indoors or on a well-drained base and covered with plastic. Cubes can be made from a variety of coarsely chopped hays, but the most common are alfalfa and timothy-alfalfa cubes. Pros:They require less storage space and are easy to handle. They decrease feeding waste. Cubes have adequate particle size to maintain normal digestive health so they can be used to totally replace baled hay. Cons: Cubes are costlier than baled hay. Horses may consume them too quickly and choke. Tips: Feed hay cubes close to the ground so horses must chew hay cubes before swallowing. 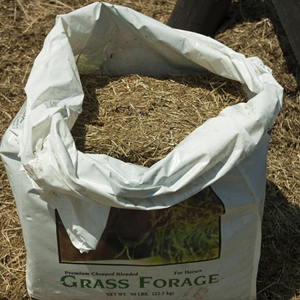 If you provide hay cubes as treats or add to other feeds in above-ground feeders, break cubes into small pieces or wet or soak cubes with water to soften them first to prevent choking. 4) Chopped hay. 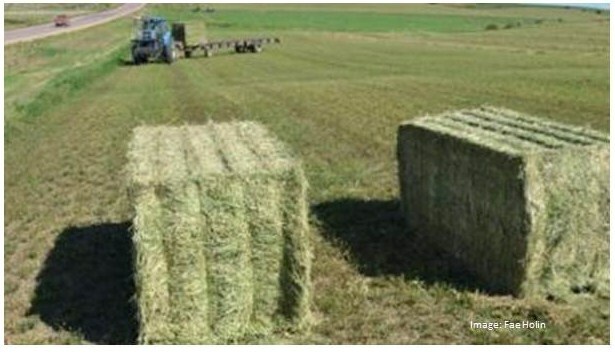 Hay chopped to a length of one inch or more can be used to replace baled hay. Pros: Less storage space required, very easy to handle, and results in decreased feeding waste. Cons: More expensive than baled hay. Can be dusty so not good for horses with respiratory issues. Tips: Can be treated with a small amount of molasses or oil to decrease dustiness. Easy to take on the road. Usually tested and have nutrient values known. Pros: Easy to feed, store and travel with. Good for supplementing baled hay or to bump up fiber in diet. Cons: Shouldn’t be fed as sole fiber source as they don’t have adequate particle size to allow enough chewing time for normal digestive health and behavior for horses. 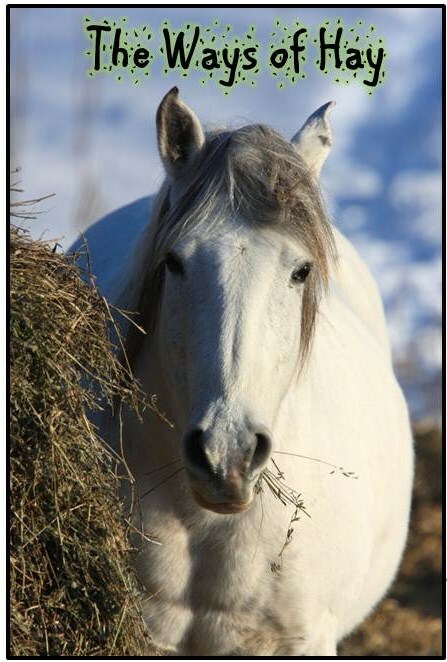 Horses have increased rates of impaction colic, obesity, and chew on wood, trees and other horse’s manes and tails when fed diets with only pelleted hay or total pelleted diets. 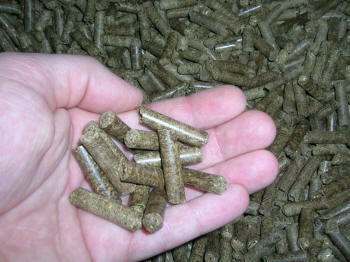 Tips: Provide source of long-stemmed fiber in addition to pellets. Hope this helps with your forage feeding decisions! Peace and good rides, til we meet again….